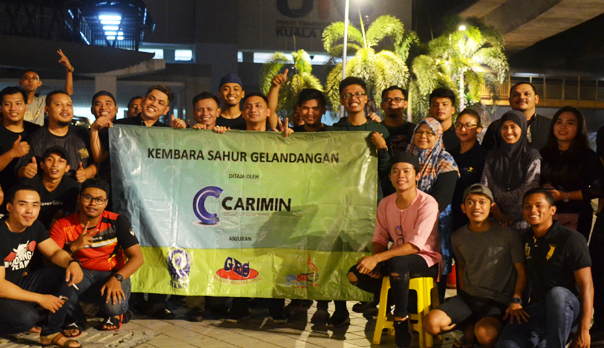 CARIMIN's commitment to social responsibility has grown and evolved to meet the complexities of today's modern challenges of a global society; in enriching our communities, encouraging employee volunteerism and commitment towards a caring society. 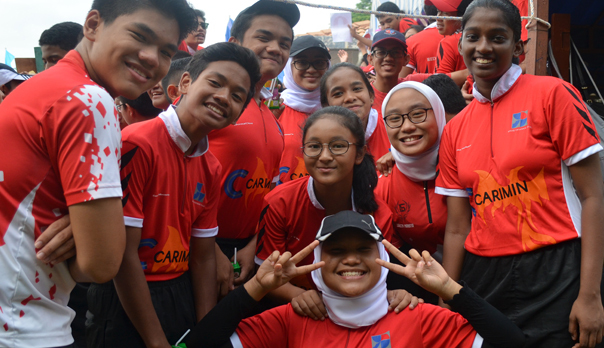 Our 2014 CSR initiative took us to Rumah Seri Kenangan in Cheras on an eventful weekend in June with the theme of “Masih ada yang sayang “program. In this program, our CARIMIN staff took time off to understand the plight and suffering experienced by the elderly and less fortunate at the centre. By our visit, the elderly folks were enlightened by our presence which also provided some cheer and excitement to their normal routine on an otherwise quiet Saturday morning. The three-hour trip was filled with activities starting with a familiarization session, and continued with gift contributions to the residents as well as a tazkirah session from our invited ustaz Mat Isa from Shah Alam. The sharing session also included a tea break session and also lunch with the folks, many who were clearly very happy and touched by our visit and our presence were well received by all. 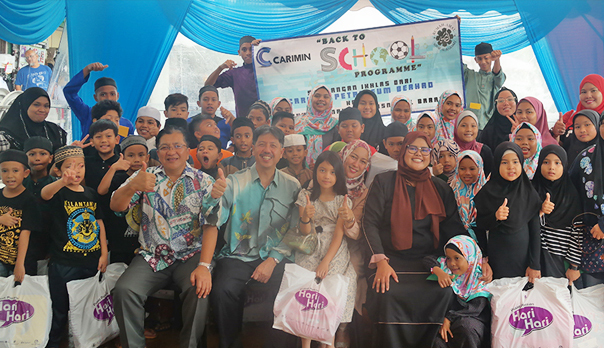 2 August 2013 CARIMIN Management & staff visited Rumah Jagaan Titian Kaseh at Jalan Kuantan, Kuala Lumpur as part of CARIMIN's Ramadhan activities. Under the care of Persatuan Pengurusan Rumah Jagaan Titian Kaseh headed by caretaker Puan Sharifah, this shelter is home to the elderly , single mothers , handicapped and orphans . The MD Mokhtar Hashim & heads of depts attended the event and assisted in handing out donations-in-kind and contributions to the caretaker Puan Sharifah and the residents in conjunction with the holy month of Ramadan. Children from Rumah Anak-anak Yatim Shifa of Batu 4, Jalan Gombak were having a memorable time at Bata, Suria KLCC picking their “kasut Raya”. Registered under Persatuan Kebajikan Teratak Shifa Kuala Lumpur & Selangor, this orphanage has 10 girls who are 7-9 years old & 8 who are 10-18 years old. At Bata their caretaker Hajjah Mak Tom met up with the Group Managing Director, En. Mokhtar Hashim who also distributed “duit Raya” on behalf of the management of CARIMIN Group of Companies. Staff volunteers of CARIMIN were also present to assist as CARIMIN encourages employees to engage in CSR / community projects to ensure a holistic development of the organisation. In 2011 CARIMIN co-sponsored a Berbuka Puasa with Anak Yatim organised by Kelab Darul Ehsan, Ampang Jaya. 41 orphans aged 7-17 years old from Pertubuhan Rahoma Darul Fakir Malaysia, an NGO at Taman Melati, Kuala Lumpur were invited to the event. The orphans received their duit raya and goody bags. In 2009, orphans from Rumah Kasih Harmoni, Kelang, Selangor, were treated to a Hari Raya celebration. The celebration was hosted by the Managing Director of CARIMIN Group of Companies, Encik Mokhtar Hashim at his residence. © 2012 CARIMIN.com. All rights reserved.